A UK judge has ruled that the government may carry on as planned with yet another controversial cull -- this time of nearly 1,100 threatened birds. Throwing out an appeal by conservationists at the Royal Society for the Protection of Birds, a high court found the organization's concerns that the cull set a dangerous precedent "unfounded," ruling in favor of an aircraft company that claimed the birds pose a flight risk. 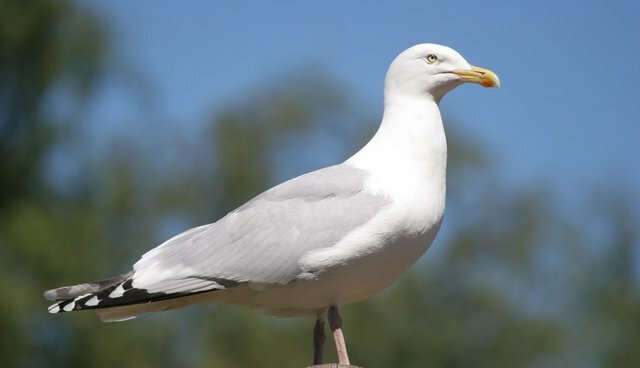 The government now has a green light to kill nearly 500 breeding pairs of herring gulls and of lesser-backed black gulls, whose populations are in decline in the UK. "This is about how the government can sanction the killing of an additional 1,100 lesser black-backed gulls without acknowledging the damaging impact of removing almost a fifth of the breeding population of a species on a protected site," said an RSPB spokesperson in a statement, according to the Guardian. "The judge ... sets a deeply disturbing precedent for our most important sites for wildlife." A spokesperson for the UK's environment agency said they are "pleased" that the court upheld the government-sanctioned cull.